If bare reamer is in stock, rods can usually be added within a weeks time. Caution: The reamer pilot is drilled and tapped for the drive rod so be careful not to apply excessive torque. Some barrels may have small bores and it may be necessary to grind pilots down. The standard thrust bushing thickness is .250". NOTE: Drive rods may exhibit slight surface rust. 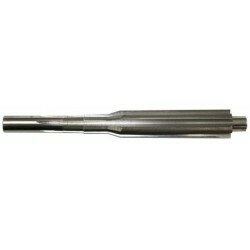 This in no way affects the performance of the reamer itself. It is recommended that drive rods be wiped down with a light oil prior to use. If bare reamer is in stock, rods can usually be added within a weeks time.